In 1945, at the end of World War II, in the corner of the Balkans adjacent to Northern Italy which is called Slovenia, there was a massacre. It went little noticed in a world that was reeling from the revelation of worse massacres. Sixty years later, however, the British government expressed regret for the part played in it by the British Army. But the British didn't do the killing. It was Slovenes killing Slovenes. The massacre remained a taboo topic in the country itself until the late 1970s and early 1980s, when dissident intellectuals brought it to light along with other massacres. The shameful memory of the incident still haunts and divides Slovenian society; there's a very good discussion of this aftermath in a TV programme that's available on the Internet (see References). Here in brief is the background to it. At the time of World War II and for many years after it, Slovenia formed part of Yugoslavia. In 1941, the whole country was invaded and overrun by the Axis powers: Germany, Italy and Hungary. Very soon, resistance movements started up. However, these movements were violently opposed not only to the occupiers but also to one another. On the one hand were the Partisans, communists led by Josip Broz Tito and remotely controlled by the Soviet Union. On the other side were the Chetniks and other guerillas representing the conservative wing in Yugoslav society: loyal to their exiled King and to their respective religions. "Chetniks and Partisans seldom co-operated, and might shoot each other up; neither had much use for Italians or Germans, except for periods of local understanding at times of crisis." In Slovenia, however, there was an anti-communist militia that was aided and abetted by the Germans as an ally against the Partisans and so was despised by the latter as German collaborators. This militia was called the Domobranci (Home Guard). When war ended in May 1945 Tito's partisans controlled most of Yugoslavia, while the British Army started to occupy southern Austria. The anti-communists in Slovenia had hoped that the British would advance into their country and shield them, but they didn't. Ljubljana, the main Slovenian city, was a sharply divided community. "Many await enthusiastically their liberation by Marshal Tito's partisans, but others are appalled at the prospect of life under a permanent communist tyranny, after four years of Italian and German oppression. Those who openly opposed communism prepare to leave." Salvation, they thought, lay in fleeing to the British-occupied zone just over the Austrian frontier. Only one route was still open from Ljubljana to Austria. It led northwards over the Alps through the Ljubelj (aka Loibl) Pass. There were two alternatives for negotiating the pass: either march the steep road over the top (elevation 1,367 m) or stumble through a 1,500 m long road tunnel that the Germans had pierced with slave labour but had not had time to finish. Both were dangerous, and the Germans themselves were using the tunnel in their flight from the Balkans as well as controlling access to the summit road. "So the road is now open, but not the way through the tunnel or over Ljubelj. Young SS men with loaded guns are standing around the mouth of the tunnel and only letting their own troops through... around eight in the evening our convoy of carts is ready to move. Our men look at the SS guards threateningly and approach them nearer and nearer. Some domobranci arrive, take in the situation, take their guns from their shoulders and make ready to fire. The Germans see the seriousness of their situation and the officer in charge orders the civilians to be let through. The convoy starts to move, escorted by domobranci. The road winds steeply uphill in serpentine bends of varying severity. The horses whinny, the carts groan, all the men push the carts to help the beasts which have difficulty climbing the hill." Despite the hazards, most of the thousands of refugees made it into Austria. In the books Slovenian Phoenix and Slovenia 1945, survivors of the flight tell tales of wartime cruelty, of reviving their battered community in refugee camps for displaced persons, of their emigration overseas (mainly to Argentina) and of building successful new lives through self-help and strong cultural identity. The books are vivid because they draw on eyewitness memories, and in particular on two diaries. One was written by a 38-year old social insurance clerk named Franc Pernisek who fled with his wife and two small children. I've quoted from him above. The other diarist was a 22-year-old Englishman, John Corsellis, who was attached to the British Red Cross and working at the main refugee reception camp in Austria. It's John, still lively in his eighties, who first made me aware of the whole episode and sent me most of the information I've used here. From the stories in these books, some intriguing for historians, many harrowing, I pick out a couple that are especially relevant for this blog. John Corsellis. Slovenian Phoenix. Privately circulated as a .pdf document, 2009. http://repository.forcedmigration.org/show_metadata.jsp?pid=fmo:5356. John Corsellis and Marcus Ferrar. 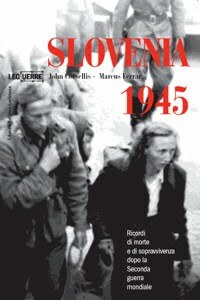 Slovenia 1945: Memories of Death and Survival After World War II. London, I B Taurus, 2005. http://slovenia1945.org/. There are Slovene and Italian translations. Interview with John Corsellis and Marcus Ferrar. Slovene State Television, 2006. http://www.marcusferrar.org/videos.html. The image is from the jacket of the Italian translation of the Corsellis-Ferrar book by Eva Sirok, edited by Mauro Pascolat, 2008. I find the stark black-and-white photo more appropriate than the sepia-toned one on the English edition. Some people may think that because I push for recognising the importance of religious translation I must be religious myself. I'm not. But in trying to observe the whole range of translating activities objectively, I see that religious translation is still a major segment of it, as it's always been. Not just Bible translation. It's true that missionary translating by the evangelical wing of the American Protestant churches is in a febrile state; a subculture with its own organisations, training schools, manuals, financing and media of communication. But not only Protestants. Vernacular translations from Latin of the Roman Catholic Missal (prayer book) have been a hot topic around the globe – and in some quarters a hot potato – ever since the Vatican II Council. And not just Christianity. I've mentioned before (on September 15, 2010) the work of the King Fahd Complex for Printing the Holy Qur’an, at Medina, Saudi Arabia. There's traditionally been prejudice among Muslims against translating the Qur'an because they consider its Arabic text to be verbatim what the archangel Gabriel dictated to Mohammed on behalf of Allah. But they too have discovered that religions cannot proselytise and expand without translations, so they call them 'meanings' instead. Here's a news item about yet another long tradition. Dharamshala: His Holiness the 14th Dalai Lama... will address Tuesday (11 January) the ongoing conference on the translation of one of the Tibet's most precious treasure of [commentaries on] the Buddha's teachings known as Tengyur [Transmitted Word] at the Central University of Tibetan Studies (CUTS) in Sarnath. The four-day Tengyur Translation Conference: In the Tradition of the 17 Pandits of Nalanda, which began on 8 January, is being jointly organised by CUTS and the American Institute of Buddhist Studies at Columbia University. The conference is aimed at focusing on issues pertaining in particular to the translation of the Tibetan Tengyur not only into English, but also Sanskrit, Hindi, Chinese and other languages, according to the organisers. The conference is part of the long-term project initiated by the American Institute of Buddhist Studies at Columbia University and Tibet House US of translating the Tengyur into English and other modern languages, and to publish the many works in a collection called The Treasury of the Buddhist Sciences. The project received the support of His Holiness the Dalai Lama for its historic initiative to support, create, and publish authoritative English translations, studies, and editions of the entire Tibetan Tengyur and its associated literature. The works of the foremost Indian scholars of Nalanda tradition are presently preserved in the collection of their writings known as Tengyur in Tibetan translation. It took teams of Indian masters and great Tibetan translators over four centuries [between the 11th and 14th centuries] to accomplish the historic task of translating them into Tibetan. Most of these books were later lost in their Sanskrit originals, and relatively few were translated into Chinese. The Tengyur is truly one of the Tibet's most precious treasures, a mine of understanding that Tibetans have preserved in Tibet for the benefit of the whole world. The Buddhist culture that flourished in Tibet can rightly be seen to derive from the pure tradition of Nalanda, which comprises the most complete presentation of the Buddhist teachings. 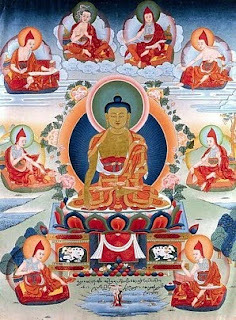 Foremost Indian scholars of Nalanda Monastic University such as Nagarjuna, Aryadeva, Aryaasanga, Dharmakirti, Candrakirti and Shantideva wrote the scriptures that we Tibetan Buddhists study and practise. When translated into Tibetan, these works in turn inspired Tibet's own enlightenment renaissance. Accordingly, the Buddhist teachings in these Tengyur texts are deemed by His Holiness the Dalai Lama and many other great Tibetan masters to be of the highest value, the organisers said in a statement. Expressing his support to the American Institute of Buddhist Studies' Tengyur translation project in 2007, His Holiness the Dalai Lama had said: "At the present time, when there is a great emphasis on scientific and technological progress, it is extremely important that those of us who follow the Buddha should rely on a sound understanding of his teaching, for which the great works of the renowned Nalanda scholars provide an indispensable basis. ... It surely will require the intelligent and creative efforts of generations of translators from every tradition of Tibetan Buddhism, in the spirit of the scholars of Nalanda, although we may hope that using computers may help complete the work more quickly. Participants from different countries like the US, Canada, Germany, France, Switzerland, Denmark, the Netherlands, Russia, Taiwan, Japan and Nepal are taking part in the conference. Fr. Antony Ronald Serrão. The English Translation of the Missale Romanum-2002. Bellevision.com, Mangalore, January 8, 2011. http://www.bellevision.com/index.php?action=topnews&type=1318. An extensive account of the history of the post-Vatican II Missal and its translation into English, including controversies. Buddha with the Six Ornaments and Two Supreme Ones. Source: Tengyur, in Wikipedia, 2009. 2011, in case you haven't noticed, marks 400 years since publication of the most influential of all English translations of the Bible. This is of course the King James Version (KJV), aka the Authorised Version (AV). I already ran two posts on the KJV and its translators, inspired by Adam Nicolson's book Power and Glory. That was back in 2009 (November 27 and December 2). I concluded that the 50 clergymen who made up the revision teams were Expert or Advanced Native Translators but not Professionals, though some of them had their living expenses subsidised in the form of church appointments. Since then, several other celebratory books have been published, including one by David Crystal in which he traces the KJV origin of hundreds of expressions that made their way into common English. And to think that there are still university departments of English Literature that don't include the KJV in their syllabuses, reading lists or libraries! "Whill he thus thought behold ye angell of ye Lorde appered vnto him in a dreame saynge: Ioseph ye sonne of David feare not to take vnto ye Mary thy wyfe. For that which is coceaved in her is of the holy goost." In another medium, Ann Corsellis has led me to a series of BBC Radio 4 radio programmes made with all the usual BBC excellence. It's composed of commentaries and readings. The initial reading from Genesis by Samuel West is thrillingly impressive, and it has a good introduction by historian Simon Schama. Catch it while you can: only three days left (see References). Bible translating could be, and can still be, a dangerous pursuit. Tyndale was hounded out of England and executed by strangulation for his Protestant presumptuousness, and in Spain the dreaded Inquisition proscribed Bible translating for two centuries. Now comes bad news from Nigeria. "Wycliffe Bible Translators reports that the translator/coordinator of the Tarok translation project in Nigeria was kidnapped in Jos on December 16... roughly 70 percent of the Tarok people are Christians. The New Testament and the Jesus film are already available in their language. However, Tarok believers are eager for more background material. The Old Testament can provide a foundation to better understand Christ's teachings in their New Testament. A team was formed, and the project got underway. Excitement grew as people began to understand how much their culture would benefit from both an oral and a written form of the Bible... The kidnapping is a crushing blow for the team. Please pray for the coordinator's safe release... Pray, too, for his family and for the Tarok translation team. As a result of this incident, the team was forced to cancel a translation-checking session scheduled for this month." The Holy Bible Conteyning the Old Testament and the New: Newly translated out of the Originall Tongues: & with the former Translations diligently compared and reuised by His Majesties speciall Commandement. Appointed to be read in Churches. 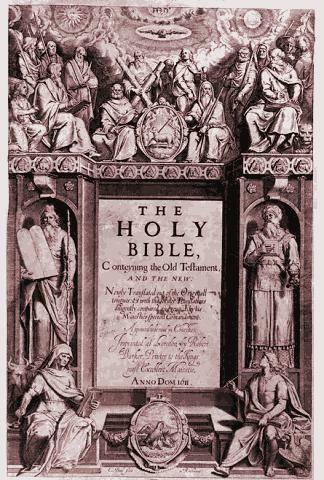 London: Robert Barker, Printer to the Kings most excellent Maiestie, 1611. The image above is of the title page. David Crystal. Begat: The King James Bible and the English Language. Oxford University Press, 2010. Rachel Sauer. Translation leaves 400-year mark on faith, culture and language. The Daily Sentinel newspaper (Grand Junction, USA), January 10, 2011. William Tyndale. In Wikipedia. http://en.wikipedia.org/wiki/William_Tyndale. The text of Tyndale's New Testament, 1526 edition, can be read on the site of the StudyLight organisation, http://www.studylight.org/, which is a fantastic tool for comparing English Bible versions. Bible translator kidnapped. Mission Network News, January 10, 2011. http://www.mnnonline.org/article/15199. Thursday was the feast of Epiphany, aka Twelfth Night in England and Reyes (Kings) here in Spain. Yesterday there were piles of boxes that had been salvaged from presents beside the rubbish containers in the street. (By tradition, presents are given on Reyes and not at Christmas.) Among them I noticed a good number of pakagings from video games and others from the technology for playing them. We've learnt that our friends' children don't ask the Three Kings for toys, books and board games any more; they want interactive video games. Localised in Spanish of course. Tales is a series of Japanese video games that's been going on since 1995. So far 12 have been released but the manufacturer has only localised nine of them for the American market, because of "the amount of dialog and the extensive voice acting in recent games." That doesn't satisfy the most ardent fans, especially as the latest release, Tales of Graces, is said to be the best in the series. 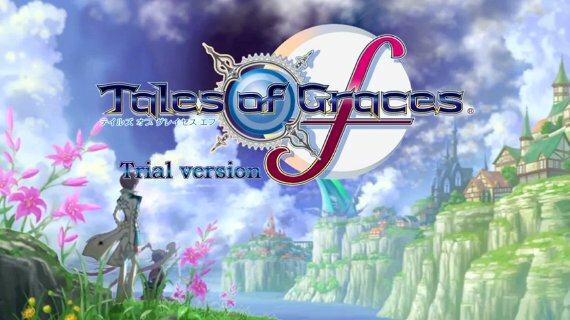 So the fans have set up a Tales of Graces Fan Translation project with the aim of eventually producing an English patch for the game themselves. "The translation team consists of five translators who have done the bulk of the translation, as well as about 10 others who help to contribute from time to time... for many of the translators, this is their first time working on a project like this. They are volunteering their time because of their passion for the game, and a desire to allow everyone to be able to experience and enjoy it." Apparently there was a bad experience in the past with translating one of these games. This time the team is taking due care. "Much of the initial translation is already done. However, everything still needs to go through a translation verification to ensure accuracy. They don’t want any, 'All your base are belong to us' situations." "The team estimates there are 90,000 lines to be translated... Basically, that’s any time text is on the screen, and a line can range from a single word to an entire paragraph." So they're looking for more volunteer translators, but not just any bilinguals: JLPT level 3 required and level 2 greatly preferred. Which brings us to JLPT. JLPT stands for Japanese Language Proficiency Test. It's an officially sponsored exam designed to evaluate the Japanese of non-native speakers. "The JLPT was first held in 1984 in response to growing demand for standardized Japanese language certification... In 2004, the JLPT was offered in 40 countries, including Japan. The number of candidates continued to rise to 559,056 in 2008, while the percentage of candidates certified has fallen below 36%." There are five levels, with N1 being the highest level and N5 the easiest. Therefore, the video game translation team is asking for high-middle to high level, but not the highest. However, what's most interesting from our point of view is that JLPT is not a translation test. It tests various components of language proficiency (reading, listening, grammar, vocabulary) but not translating. Hence there is an implied assumption that second-language proficiency, together with close acquaintance with the source content – since the call is to fans – is a good predictor of translation 'proficiency' into the first language without further training. Anyway for want of a better correlate. Another assumption – by no means new – is that, given the required language proficiency, background knowledge, a checking procedure and plenty of time, the translation of such a game can be done by untrained Native Translators to the satisfaction of highly critical users. As more projects like the Tales of Graces one are launched, more bilingual fans are discovering that they too can translate and can render a service to their gaming compatriots by doing so. What the instigators and coordinators of such projects need is a realistic Guide to Managing Inexperienced Translators. Brandon Fenty. Tales of Grace English translation coming this year. Ripten Video Game Blog, January 2, 2011. Japanese Language Proficiency Test. In Wikipedia. December 2010. 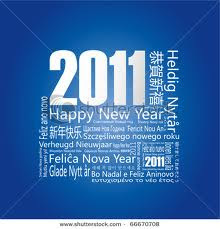 A Very Happy, Healthy and Prosperous New Year to Everyone, and especially to my 78 supportive Followers. So 2010 is gone, not just another year but another decade. Incredible! The translation event from which I gained most insight in 2010 was my own experience, and that of my wife, as non-professional, non-expert, medical Native Interpreter-Advocates for the case of dementia at Cullera. To find the posts about that, enter cullera in the Search box in the right-hand column. I say "Interpreter-Advocates" because it's been impossible to separate the interpreting function from the role of interceders with doctors and social services for the stricken Englishman and his wife. And the work continues. Next Friday we'll both be at the hospital when the man is examined by a Spanish-speaking neurologist. Both of us, because though I speak better Spanish than my wife, she's the more persistent advocate. Meanwhile I still translate and certify – but this professionally – official documents for Spanish doctors who are going for specialist internships in Canada. The College of Physicians and Surgeons of Ontario is very demanding: they once sent back a translation of mine because of an ambiguity. But I can understand that they have to protect their clientele and themselves from incompetence and even fraud.